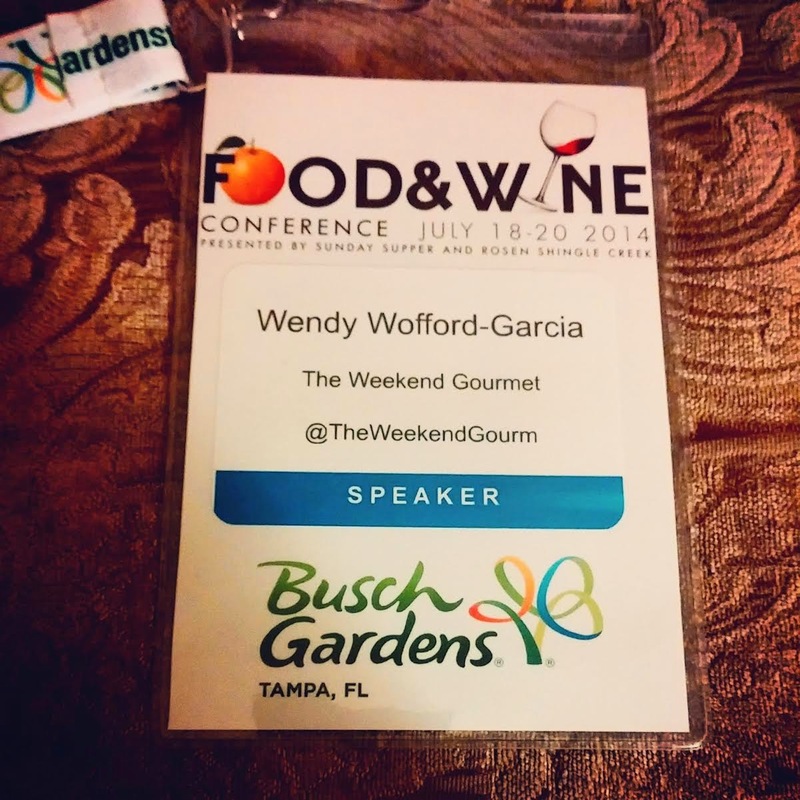 The Weekend Gourmet: Food & Wine Conference 2014 Recap! 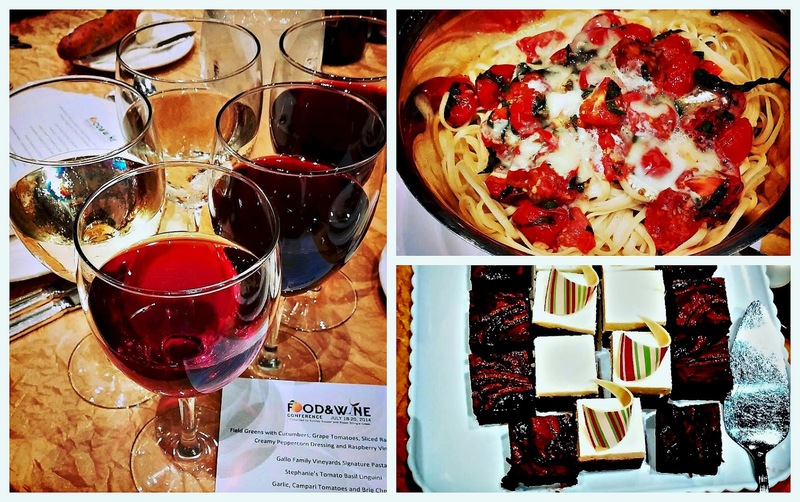 Food & Wine Conference 2014 Recap! I’ve spent the past few days letting my experience attending and speaking at Food & Wine Conference in Orlando last weekend percolate in my brain. It was hands down the best blog conference that I’ve attended! 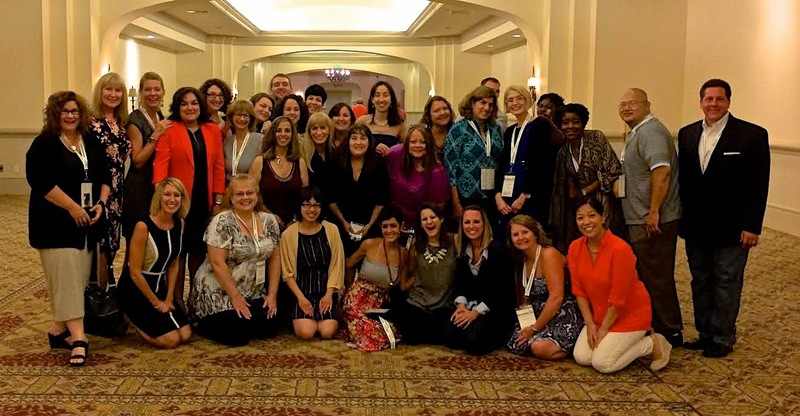 I learned so much valuable information, and I met some truly amazing people – fellow food writers, brand ambassadors, and the friendly and helpful staff at Rosen Shingle Creek Resort. It was an amazing experience from the moment I arrived (at 200 a.m. no less…) until the moment that I hopped into my handy uber ride back to the Orlando airport on Sunday afternoon. In between was three days of learning, amazing food and wine…and connecting with fellow food lovers! I met new friends, and I also connected in person with many members of my #SundaySupper family. 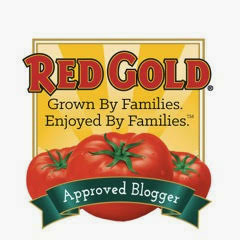 We come together on Sundays to share recipes around a theme on our blogs. 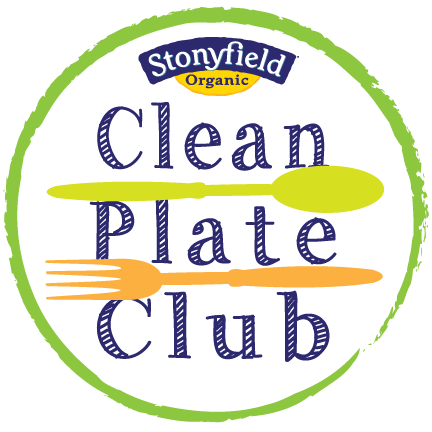 I’ve been in the group for 2+ years, so I’ve made lasting connections with many of these amazing cooks and writers. To finally meet some of them in person to put a voice with a face and spend time in their presence was one of the best parts of the conference. Although technically “strangers” in the sense that I hadn’t met many of them in person, the conference truly felt like a big family reunion. Food & Wine Conference is organized and hosted by #SundaySupper founder Isabel Laessig of Family Foodie. She’s a dynamo…let me tell you! Despite being pulled many directions at once, she always had time for a hug or a shared smiled whenever our paths crossed over the weekend. I was honored when Isabel asked me to speak at this year’s conference. 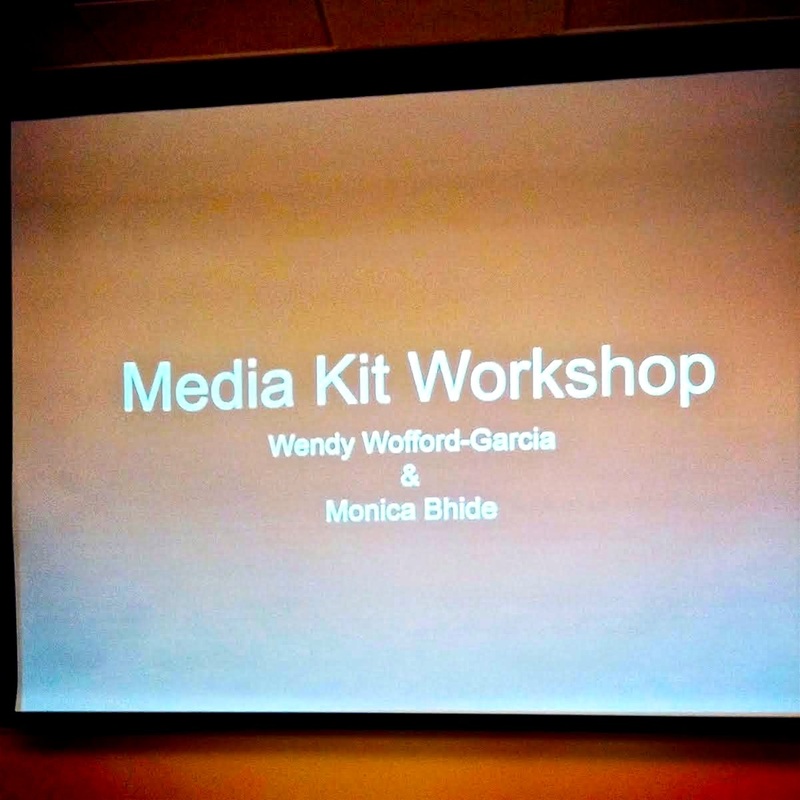 I co-presented a Media Kit Workshop with the very talented – and witty – Monica Bhide. She was a joy to work with, and presenting with her was an honor! Sunday was my birthday, and the entire session broke into an impromptu version of Happy Birthday before the conference…which was pretty awesome! I not only shared information, I learned a lot too. Saturday was jam-packed with back-to-back speakers. Each one was motivational and inspiring…I left the conference wanting to take The Weekend Gourmet to higher levels in every way. 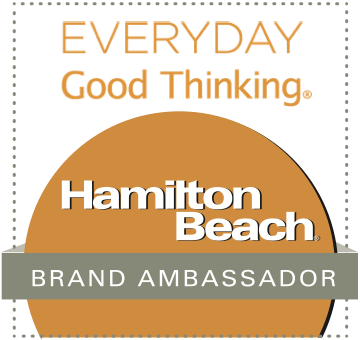 To hear successful writers and food brands speak about their experiences is a great catalyst to achieve more. The overall theme of the conference is to dream big, know your personal brand, and to not compare yourself to anyone else. Each of us has our own path to take, but we have to be bold enough to follow it! When we weren’t learning…or hugging each other and posing for pictures...we enjoyed lots of great food and wine! The food we had was so tasty…breaks were sponsored by several brand sponsors. 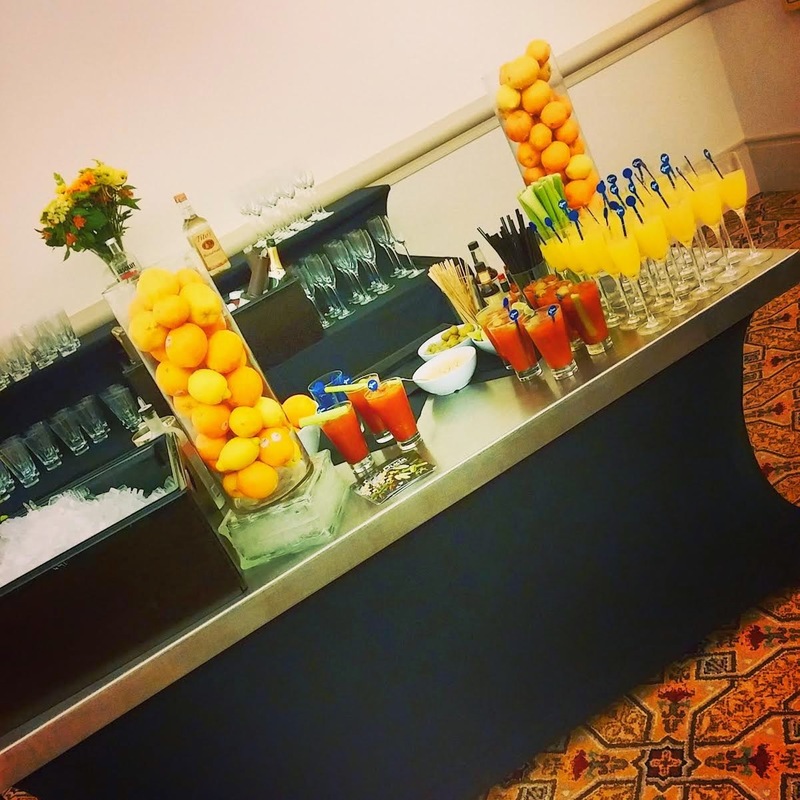 For example, we enjoyed a delicious mimosa and bloody Mary bar one morning…and three new varieties of Cabot cheddar cheese in the afternoon. We also enjoyed a fabulous sneak peek of Gallo Family Vineyards’ amazing new Riesling…as well as first look at new Petite Crème from Stoneyfield. They were just a few of the delicious goodies that our sponsors shared with us! We also enjoyed A Taste of Rosen Shingle Creek on Friday evening, which featured small plates of menu items from the resort’s restaurants. Everything was so good! 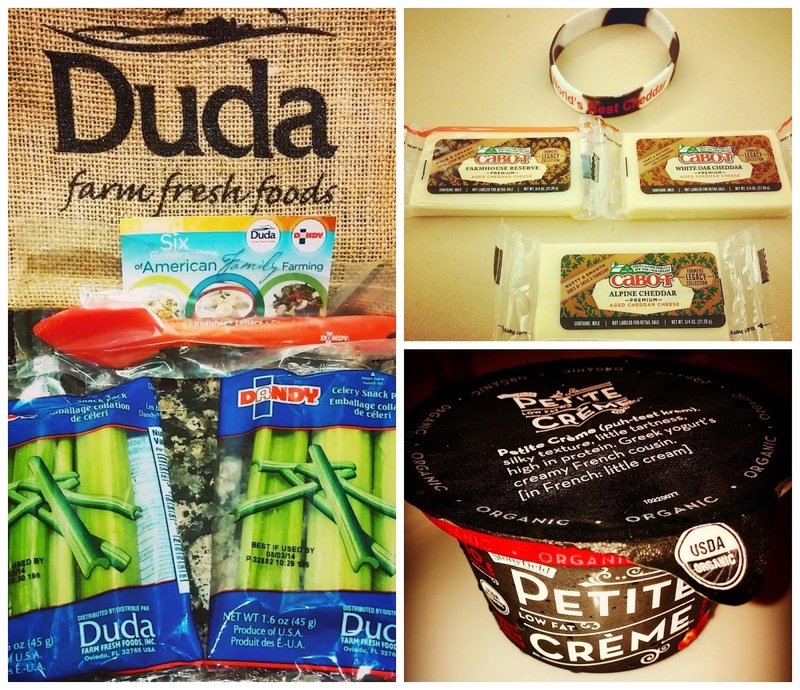 Then we returned to our rooms to find a cute and healthy snack from Duda Farms. 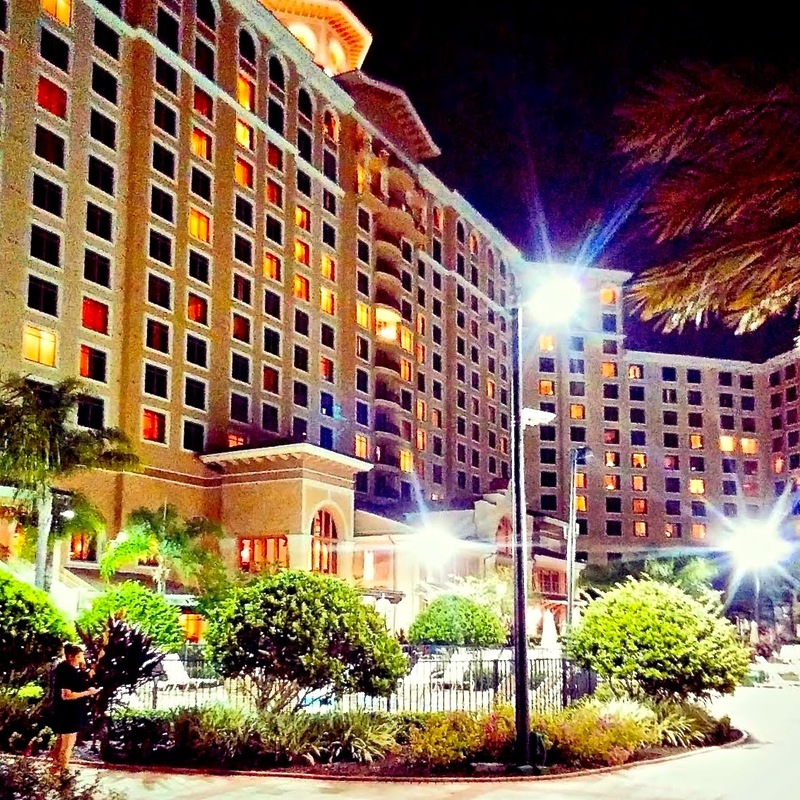 Speaking of Rosen Shingle Creek Resort? It was an ideal place for this event. The rooms were gorgeous, the grounds were lovely – late-night spa time, anyone? -- and the conference facilities were top-notch. I’m fortunate to stay in many resorts as part of our culinary travelogue travels, and this resort is first-class all the way. 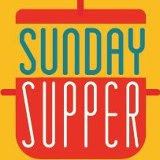 The highlight of the event for me was our group #SundaySupper meal, which was held on the Saturday evening of the conference. To finally be able to break bread in person with so many of my #SundaySupper friends was an incredible experience. The family-style Italian meal was fabulous, and the hand-selected Gallo wine pairings were amazing. Our dessert was a duo of Dixie Crystals prize-winning brownies…and the talented bakers who created them were right there in the dining room with us. How cool is that?!?!? After the meal was over, Isabel asked all #SundaySupper participants present to gather outside the dining room for a big group picture. What an unforgettable experience that was! As you can see, we clean up pretty nicely. We laughed and hugged like old friends…because that’s what it felt like. It was truly one big love-fest!! I not only spent time with old friends last weekend, I made lots of great new foodie friends too. The connections that I made at Food & Wine Conference this year are the very best part of the experience. I was able to learn and be inspired by others, and I was also honored to share what I've learned over the past 4 years with a few newbies. 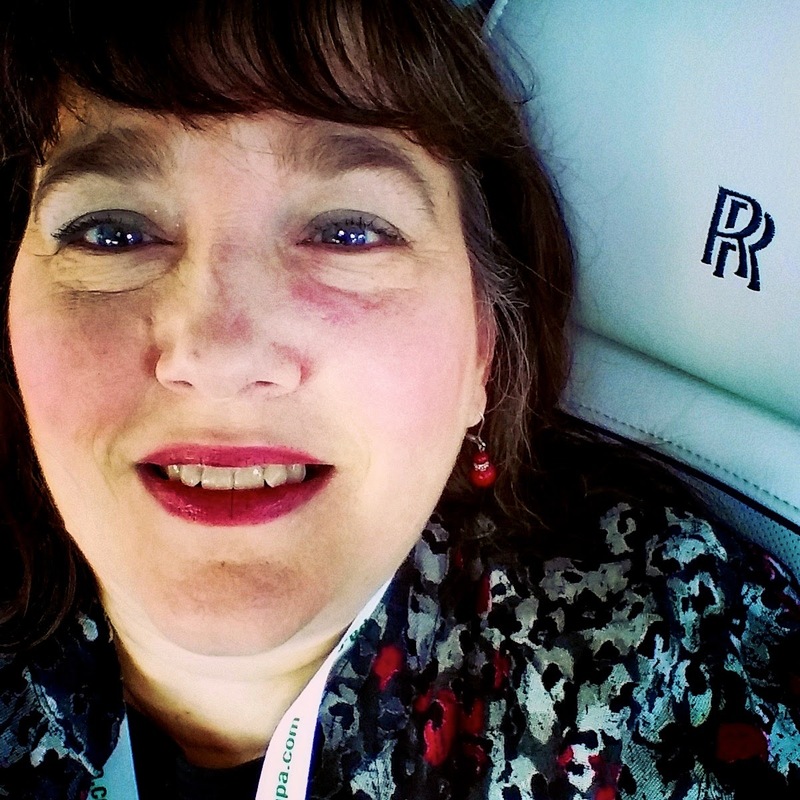 I even came home with some really nice gifts from several of the conference sponsors...and I got to ride in a sweet Rolls Royce on Sunday -- what a way to celebrate my birthday in style!! Bottom line? Food & Wine Conference was an incredible experience from start to finish. 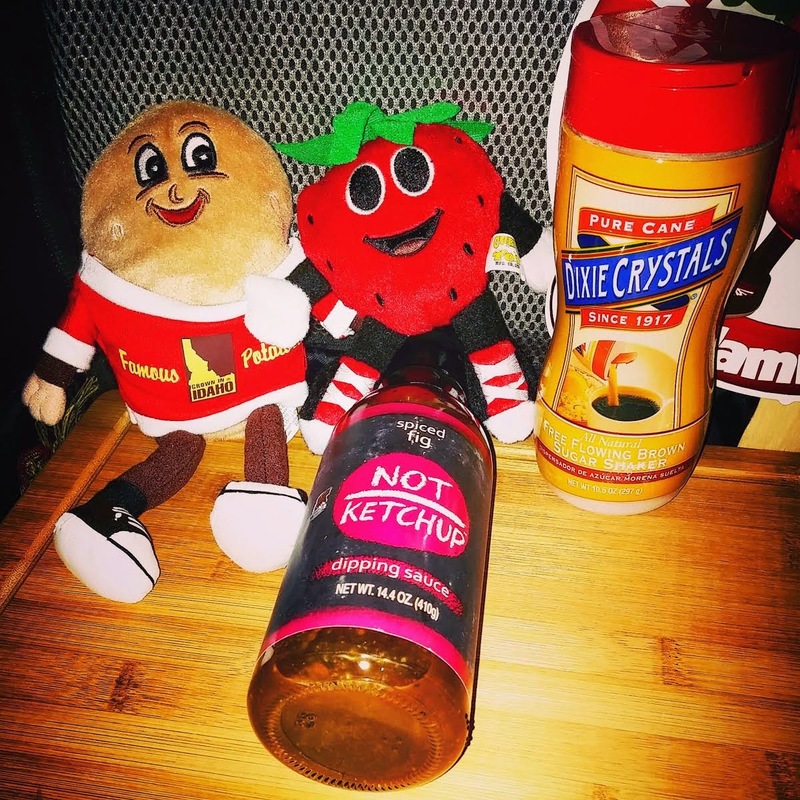 I can’t wait to return in 2015 to learn more, see more…and hang out with my amazing food blog friends some more.